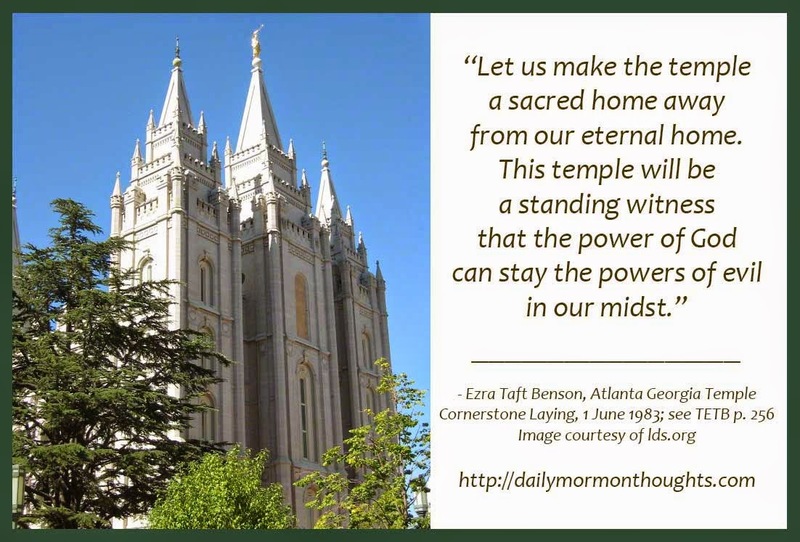 "Let us make the temple a sacred home away from our eternal home. 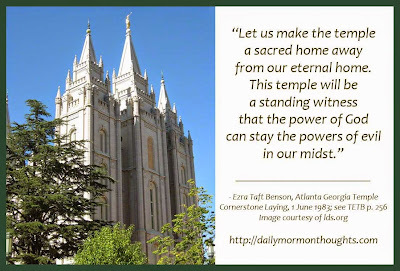 This temple will be a standing witness that the power of God can stay the powers of evil in our midst. Many parents, in and out of the Church, are concerned about protection against a cascading avalanche of wickedness which threatens to engulf Christian principles. I find myself in complete accord with a statement made by President Harold B. Lee during World War II. 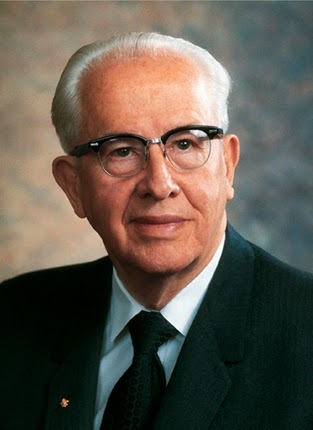 Said he: 'We talk about security in this day, and yet we fail to understand that... we have standing the holy temple wherein we may find the symbols by which power might be generated that will save this nation from destruction' (CR April 1942, p. 87). "Yes, there is a power associated with the ordinances of heaven—even the power of godliness—which can and will thwart the forces of evil if we will be worthy of those sacred blessings. 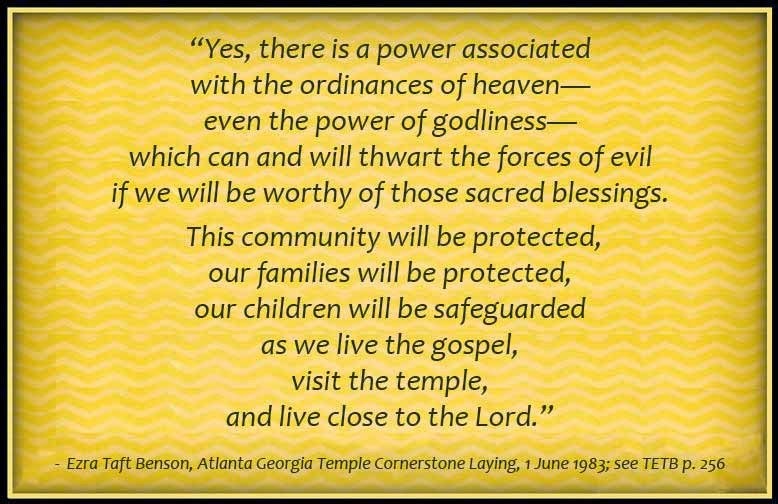 This community will be protected, our families will be protected, our children will be safeguarded as we live the gospel, visit the temple, and live close to the Lord." All who have traveled appreciate the imagery of "a home away from home" — a place where we find acceptance, serenity, love, and peace when we are far from familiar settings. 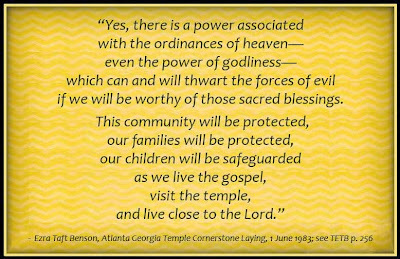 President Benson provides an interesting analogy about our mortality in view of eternity.